In 2011, Puma became the first company to publish an Environmental Profit and Loss (EP&L) report, revealing the environmental value and cost of their business. Seven years on, more companies are recognising the need to be both transparent about their environmental impact and committed to mitigating that cost. So what exactly is an EP&L, and do you need one? Here’s everything you need to know. What are EP&Ls and where did they come from? An Environmental Profit and Loss account puts a monetary value on the environmental impact of doing business. Just as a traditional profit and loss report determines where and how a business can be more cost-effective, an EP&L does exactly the same - but with environmental factors. By looking at everything from supply chains to day-to-day business operations, an EP&L can tell you exactly what your business is costing the Earth. The initial idea came from Puma chairman, Jochen Zeitz, in 2010.Once the methodology was developed, it was put into practice by examining six specific environmental factors throughout every part of their business and supply chain: carbon emissions, water use, water pollution, land use, air pollution and waste. These are known as Environmental Key Performance Indicators or ‘eKPIs’. The first report found that 94% of Puma’s environmental footprint came from its supply chain. Pinpointing where and how the impact was happening allowed the sportswear brand to do something about it. Between 2013 and 2017, Puma reduced their environmental footprint by 15%. But why did they do it in the first place? These days people don’t just care about what they get, they care about how they get it. For many people, a pair of shiny new trainers in exchange for rampant deforestation or excessive use of raw materials is just too high a price to pay. Instead they want to know that businesses are doing everything they can to be sustainable and ethical - and they’ll happily put their money where their mouths are. Nielsen’s 2015 Sustainability Report found that 72% of Millennials would pay more for a product if it came from a sustainable brand. Grace Farraj, SVP, Public Development & Sustainability at Nielsen commented, ‘Brands that establish a reputation for environmental stewardship among today’s youngest consumers have an opportunity to not only grow market share but build loyalty among the power-spending Millennials of tomorrow’. This is somewhat contested: what people say and what they do are often very different. Oeko-Tex, a textile research company, found that although 60% of Millennials are interested in certified sustainable clothing, only 37% have purchased them. But they put that down to unclear marketing and a lack of sustainable options rather than sentiment. 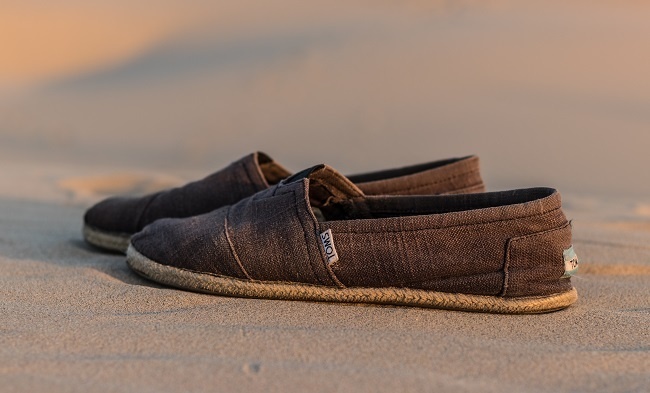 When brands and businesses get it right, they fly, a fact perfectly exemplified by TOMS. The billion dollar footwear company has built its entire brand on its sustainability and ethics with a clear marketing message: for every pair you buy, another pair is given to a child in need of shoes. EP&Ls reflect a significant societal move towards sustainability and responsible capitalism. While the environmental and social repercussions are positive, this isn’t the stuff of philanthropy or charity. Companies like Puma understand that in order to grow long-term, they need to adapt to the changing needs of global consumers. For all brands, environmental impact is not just a trendy footnote - it can be a solid differentiator and a benefit to the bottom line. What businesses are using EP&Ls? Since Puma introduced the concept, a number of brands have recognised the benefits of EP&Ls. Amongst them is Novo Nordisk, who became the first pharmaceutical company in the world to run the initiative. They discovered that 87% of their footprint was happening within their supply chain and only 13% came from their own operations. Their response was to invest time and money into helping their suppliers become more sustainable. A major benefit of EP&Ls is their ability to help drive business innovation and expansion. In 2013, Puma’s then-parent company Kering founded MIL (Materials Innovation Lab). Their EP&L findings highlighted the growing need for sustainable raw materials - so they decided to develop their own. The result is a library of over 2,000 certified fabrics, specifically designed to supply and serve the needs of their fashion brands.The effect is a significant reduction in environmental impact, business expansion and being able to give their brands bespoke materials to work with. EP&Ls: Where do you start? As with any report, you need to first identify what you’re going to measure. In the case of Puma, they included every single layer of their business (raw materials, processing, manufacturing, assembly, operations and retail.) Of course, not every business has all these parts, so establish the different elements and whether or not you want to look at all of them. Supply chain: When you’re looking at your supply chain you need to break it down into individual segments and map out processes in order to collect the data you need from each supplier. This is a vital stage, not only in eventually measuring environmental cost but also in assessing risk. For example, Kering found that for some of their materials they were relying on a small number of suppliers in ‘environmentally stressed’ areas. This heightens the risk of the chain breaking down, which in turn could impact the smooth running of the business and increase costs. It’s easy to see how this type of information is invaluable when it comes to future risk management and optimising available resources. Data: Once you’ve identified all your suppliers you can begin to collect data. Here, you need to consider what questions you need to ask and how you’re going to ask them. You may also need to access Life Cycle Assessment databases and enlist the help of suitable professionals such as NGOs, scientists and trade groups to find the information you need. Analysis: This requires assessing the environmental impact and the consequences in terms of human welfare. To do this you need to determine coefficients - numbers which will allow you to calculate your environmental footprint in monetary value. Once you have these figures, you can make decisions about how to reduce your footprint or how to minimise risk. If all of the above sounds challenging, that’s because it is. EP&L accounts are still a fairly new concept and are therefore still a work in progress. Firstly there’s the issue of complexity. According to Kering, a typical EP&L takes 12-18 months to complete. The nature of it means it cannot be done completely in-house. You need to obtain data from suppliers, secondary data from sources such as LCA databases and you need someone (either internally or externally) to oversee the entire process. Then there’s the question of quantification. How do you establish the monetary value of fresh water or air? It takes time and mathematical knowledge. For this, you may need to look outside of your team which will cost money. Another challenge is accuracy. EP&L’s use ‘Environmentally extended Input- Output’ (EIO), a technique developed in the 70s which identifies interdependencies within an economy. An EIO includes all economic transactions between all parts of a supply chain in one country over the course of a year. Therefore international trade or parts of the supply chain which are in different countries are not represented with the same accuracy. The ultimate challenge of EP&L is attitude and commitment. Going through the process of developing an EP&L is pointless if you’re not going to do anything about it. At its heart, EP&L is a decision-making tool; you need to be willing to make changes based on what you find. While they’re not perfect or without challenges, the pros of EP&L accounts certainly outweigh the cons. By putting a price tag on your environmental footprint, they provide perspective and the ability to make positive changes which ultimately impact your bottom line. An EP&L is a bit like detective work. Your objective is to determine your environmental impact but you’re likely to make other discoveries along the way; namely how you think about your supply chain, your business and the wider world.